Every five minutes a new online magazine launches with the promise of giving more insider news, backstage access and trends than any before them. 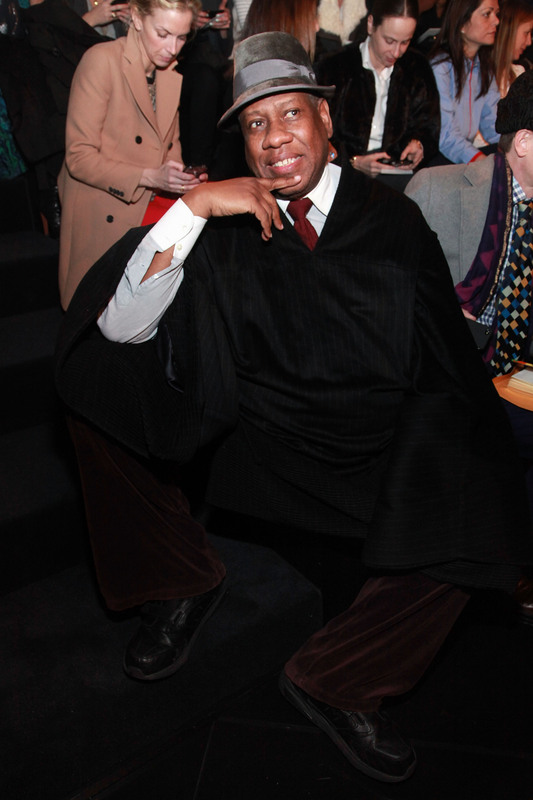 But Vogue alum André Leon Talley’s new online magazine for Zappos Couture may actually deliver. The New York Times reports that Zappos Couture, the more stylish younger sister of Zappos.com, has launched ZeeCee by ALT online magazine with Talley at the helm as artistic director. The magazine will be the latest step in Zappos Couture's mission to be the go-to site for the ultra-stylish. Talley will direct the publishing of the weekly magazine, and will be an integral part of the buying team at Zappos Couture. His influence and connections may very well be a goldmine for Zappos. I have some amazing relationships with a lot of CEOs of these [luxury] companies, but he brings something else to the table, and that’s his relationship with the designers … The first brand that he really had a conversation with and is now going to launch on our site for fall 2014 is Oscar de la Renta. The always vibrant Talley has had a few new prospects since leaving Vogue after 30 years. He sits as editor-in-chief at Numéro Russia magazine and has a rumored TV development deal with NBC. But this latest project with Zappos seems more like a return to his Vogue roots. The pieces read very personable and warm, much like Talley’s former Life with André Vogue column. The magazine launched with seven feature articles covering trends, designer profiles, and a little Oscar Night reminiscing. Style Muse, featuring Amy Adams' American Hustler look, and Color-licious! The Best of Spring both include video commentary by Talley himself. Zappos and Talley plan on expanding with more video commentary, designer interviews, book reviews, and celeb style pieces. I say thank god for the return of ALT on camera. Talley is a showman above all else and, though he is wonderful at expressing himself on the written page, he comes to life on film, especially during on-on-one interviews. Exhibit A: this must-see interview with nine-year-old Beasts of the Southern Wild's Quvenzhané Wallis for Talley’s Monday’s with André series from his Vogue days. All signs point to a solid collaboration here. We're on board.